OFFUTT AIR FORCE BASE, Neb. — Hey veterans, you can soon shop tax free. Starting later this year, all honorably discharged veterans, no matter their branch of service, will be eligible to shop tax-free online at the Army & Air Force Exchange Service with the same discounts they enjoyed on base while in the military. It’s the latest way in which the organization is trying to keep its customers as the armed forces shrink and airmen and soldiers buy more for delivery. Adding 13 million potential new customers will give extra ammunition to the group that runs the stores on U.S. Army and Air Force bases worldwide as it fights Amazon and other retailers for veterans’ online shopping dollars. 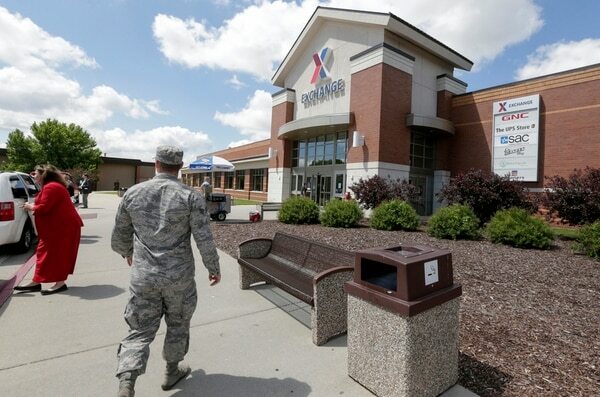 Later this year, AAFES will allow online shopping to honorably discharged vets. Since hiring its first civilian CEO five years ago, the Exchange has upgraded the brands at base stores to include items like Disney toys, Michael Kors fashions and other top names. Like private stores, it’s also imposed tighter cost controls, reduced the number of employees and improved people’s experience on the website. Within the next three years, Shull said the goal is to deliver something on base within two hours of when it is ordered. That’s possible partly because the Exchanges are already on base, cleared by security. 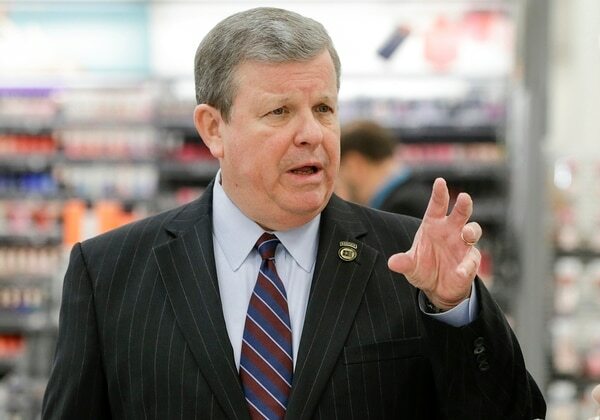 Adding those shoppers, what Shull called “the foundation of our growth,” is critical to help offset the 13 percent decline in the number of active-duty Army and Air Force soldiers since 2011 when the Exchange generated $10.3 billion revenue. “It’s a modest benefit, but it can save you thousands of dollars a year,” said Shull, a graduate of the U.S. Military Academy who served in the Army for a decade before starting a retail career at chains including Macy’s. “The biggest thing is price. They’re always going to be a little bit cheaper,” said Cornelius, who lives in Dallas. But competing on price in today’s retail environment is increasingly difficult, said Edward Jones analyst Brian Yarbrough. Just look at how much trouble Walmart has competing with Amazon, he said, because Walmart has the fixed costs associated with its stores. “To think you’re going to compete on price, you’re going to have a hard time there,” he said. Under Shull’s leadership, the Exchange stores have traded their industrial feel and reliance on off-brand merchandise for a more modern look featuring well-known labels. 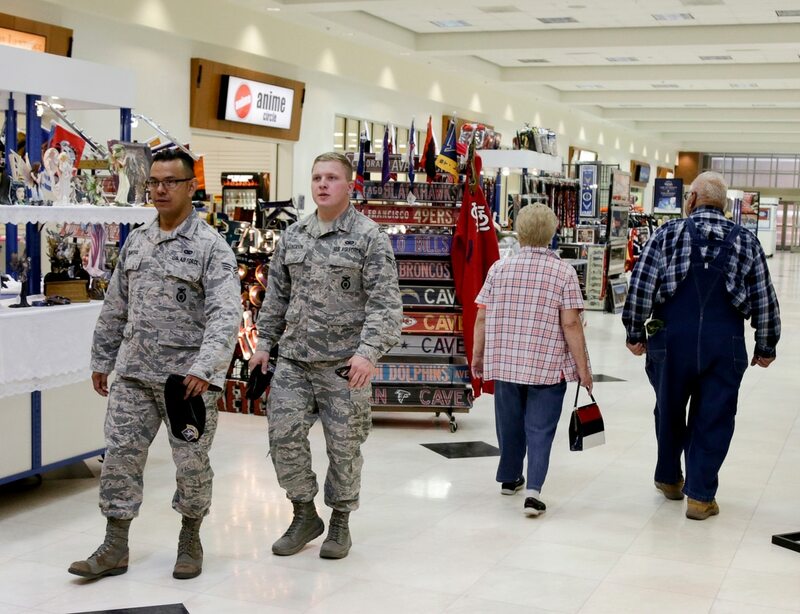 Two-thirds of the main Exchange store at Offutt Air Force Base resembles any department store, with prominent displays of name-brand makeup, Nike fitness gear and Carter’s clothes for kids. The rest is filled with the kind of electronics, appliances, housewares and toys found at Walmart or Sears, with major brands in every section. The Exchanges don’t pay rent for their military base locations, and the government transports some of their supplies and goods to far-flung locations, but otherwise they operate mostly like an independent retailer. Roughly two-thirds of the employees are family members of soldiers or airmen. The Exchange, which is part of the Defense Department, reported earnings of $384 million last year. That’s a sharp contrast from five years ago when Shull arrived to projections of $180 million in losses. Of last year’s profit, $225 million was returned to the defense department to help pay for quality-of-life programs on bases like child development and fitness centers. Besides the main stores, the Exchanges also operate more than 70 movie theaters and bring in franchise restaurants and other vendors for the shopping malls it operates on bases. “Veterans value the cost savings and what they can do to support the military,” he said.